Last week we looked at Arkansas’s motorist coverage requirements – namely, that each Arkansas driver is required by law to carry insurance. To learn more about the minimum Liability Insurance as well as Comprehensive and Collision coverage, read our previous post: Car Insurance 101. As a reminder, these categories of insurance apply to accidents where you are the at-fault driver. Today, let’s explore a different scenario: you are involved in a car wreck that is NOT your fault (whew! ), but you are left with physical injuries and a damaged car (bummer!). Ideally, this would be a simple process: you’ll file a claim with the at-fault driver’s car insurance company, get medical treatment and car repairs, and then receive compensation from the insurance company for your doctors’ bills, lost wages, and property repairs. There will be no out-of-pocket expenses on your end. In this instance, however, let’s imagine that the driver who hit you doesn’t have any liability insurance, or doesn’t have enough to cover your losses (remember the limits we discussed in our last post?). This less-than-ideal situation happens more often than you might think: more than 16% of Arkansans are uninsured, meaning that each day as you drive through your town, 1 out of every 6 drivers you pass is driving without insurance. When this happens, who pays? If you only carry the minimum insurance required by Arkansas law, you may find yourself paying out-of-pocket for your bills and repairs. This is the unfortunate reality of our insurance system. ● The accident is a “hit-and-run,” where the driver who hit your car left the scene. UM/UIM coverage will typically cover bodily injury, but not property damage, in hit-and-run cases. While UM/UIM coverage is not required in Arkansas, Taylor King Law highly encourages you to add this coverage to your insurance policy. 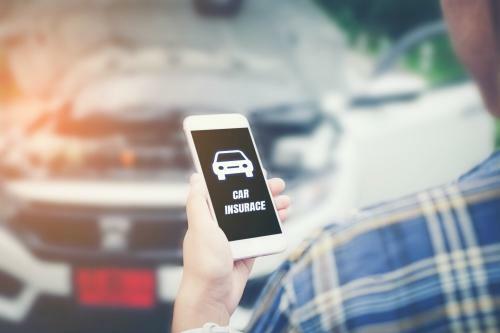 Rates for vary by state and insurance company, but typically around 5% of your annual auto insurance premium goes to Uninsured/Underinsured coverage. It’s a small price to pay for the peace of mind that comes from knowing you and your family are protected from irresponsible drivers. Having an experienced personal injury lawyer on your side is especially important if you’ve been hit by a driver who is uninsured or underinsured. If you’ve been injured in a car accident in Arkansas and have questions about your insurance, Taylor King is here to help. Call us at 1-800-CAR-WRECK (227-9732), visit our website at www.taylorkinglaw.com, or download our free app for iOS or Android to start your free consultation. We will answer your important insurance questions and help you begin the recovery process. The Arkansas injury lawyers at Taylor King Law have many years of experience in dealing with insurance adjusters and will protect your rights to a fair settlement. You’re one call away from getting help today.